Begin the New Year in a heartwarming way by sending this New Year greeting card to your friends and family! This holiday, you may want to show your best New Year wishes with some card designs. Instead of buying some New Year cards, customizing some designs by yourself is a time and money saving, and much sweeter. 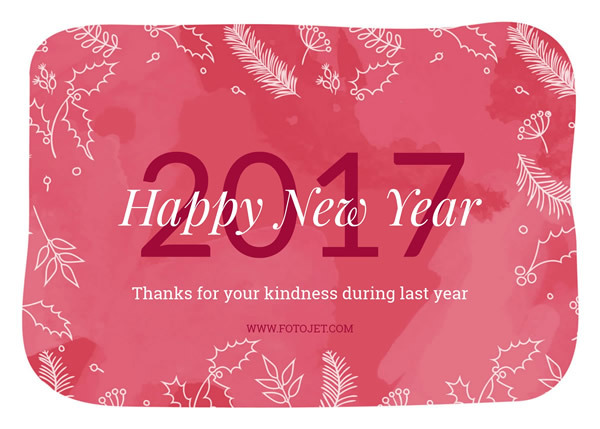 This New Year card template with some stunning images in the red background makes a special example. You can personalize it to get some creations since it is freely customizable.